CJ's Thumbs Up Foundation: September is Childhood Cancer Month...and we're busy! September is Childhood Cancer Month...and we're busy! Childhood cancers are the #1 disease killer of children. The National Cancer Institute’s federal budget=$4.6 billion. Pediatric cancers received less than 3% of it. Overall, one out of every five children diagnosed with cancer dies. In some forms of cancer, as few as one out of every five children will live.. The cause of most childhood cancers are unknown and at present, cannot be prevented. In contrast, adult cancers result from lifestyle factors such as smoking, diet, occupation, and other exposure to cancer-causing agents. Nationally, childhood cancer is 20 times more prevalent than pediatric AIDS yet pediatric AIDS receives four times the funding that childhood cancer receives. 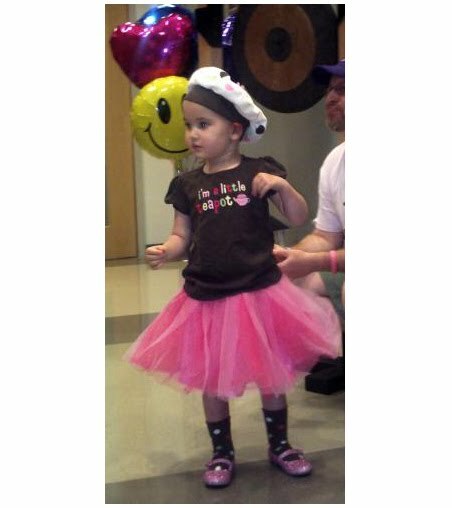 On the average, 12,500 children and adolescents in the U.S. are diagnosed with cancer each year. In the U.S., about 46 children and adolescents are diagnosed with cancer every single school day. Wear a gold ribbon to support childhood cancer. Let's make Gold the new Pink! Attend fundraising and awareness events in your area. There is a Cookies for Kids Cancer fundraiser in Carytown and one in Short Pump next Saturday (September 11th). Contact your Senator or Congressperson and advocate in support of more research funding for pediatric cancer. Visit the Advocacy section of our website for more information. Support our friends at ReeseStrong by registering for their 5K race (and one mile kids run) on September 18th. Proceeds will benefit Aileen Jones, a local girl fighting cancer. CJSTUF is gearing up for its second distribution of Financial Assistance Grants. Our next deadline is November 1st. If you know of a family that has a child with a life-threatening, chronic illness that requires frequent hospitalizations, direct them to the application on our website. The application process is short and simple. We will give away another $5000 to 10 deserving families on December 1st. Help spread the word. As usual, the calendar is full of CJSTUF events and opportunities so LISTEN UP! We don't want you to miss out on anything. 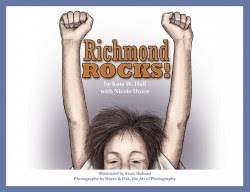 Business of the Month: As many of you head back to school, our September business of the month is Kate Hall and her children's book Richmond Rocks. This fun book designed for kids ages 4-8 years of age is full of photos and illustrations of some of the fabulous landmarks in the Richmond, VA area. Kate is donating 30% of sales to CJSTUF during the month of September and we will have autographed copies of the book at Romp n' Roll-Mechanicsville. The books sell for $15.70 (tax included). For more information about our Business of the Month or to get a sneak peek at our October businesses, go to our website for more details. Word on the street is that the Hokies are playing some football today. Word on the street is that the 'Canes fans are TROUNCING the Hokies fans in the Double Marathon Challenge. Roger is almost halfway to his $10K goal and the 'Canes fans (or non-Hokies fans) are leading the Hokies almost 2:1. How can you help? Download a PLEDGE FORM and take it to your next Game Watch party. Make sure your pledges indicate VT or UM and submit pledges back to us as soon as possible so we can keep a running tally of the results. Speaking of which: does anybody have access to a turkey costume? It would need to be something Roger could run in (we're thinking a headdress, fantail feathers for the "tail" and maybe something for the arms?). Roger certainly doesn't want to run in VT colors but we want to be prepared all the same! Finally: This may be last minute notice for some but we are having a small work party at our house tomorrow (Tuesday, 9/6) at 7 PM. We will be assembling CJSTUF Swag Bags and making cards for families staying at the Houston Ronald McDonald House. Bring your crafty creativity, come one, come all. Email Rachel or Roger if you have questions or need directions. I don't feel old...or do I?